After holding the top spot for nearly four years, League of Legends is no longer the most popular game in Korean Internet Cafes - Overwatch is. For the last 46 months, League of Legends has been the most-played game at Korean internet cafes. That's according to Gametrics.com, a website that keeps track of what people are playing at over 4,000 cafes in the country (first spotted by Polygon). But LoL has finally been dethroned by Blizzard's new shooter, Overwatch. The site lists Overwatch as being played by over 30 percent of gamers in cafes, edging out League, which sits at 27.8 percent. Blizzard has done well in Korea in the past, although that's been largely due to the popularity of Starcraft. The sci-fi RTS has been the focal point of tournaments, TV shows, and more in Korea since its launch in 1998. While it's great news for Blizzard that Overwatch is doing so well, it remains to be seen if the game will have the sort of staying power that League of Legends did. 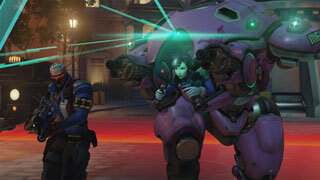 If it does, you can bet that the upcoming Competitive Mode will be a large part of its success.